An atomic model can help students understand atomic structure by showing the arrangement of protons, neutrons and electrons within a given atom. 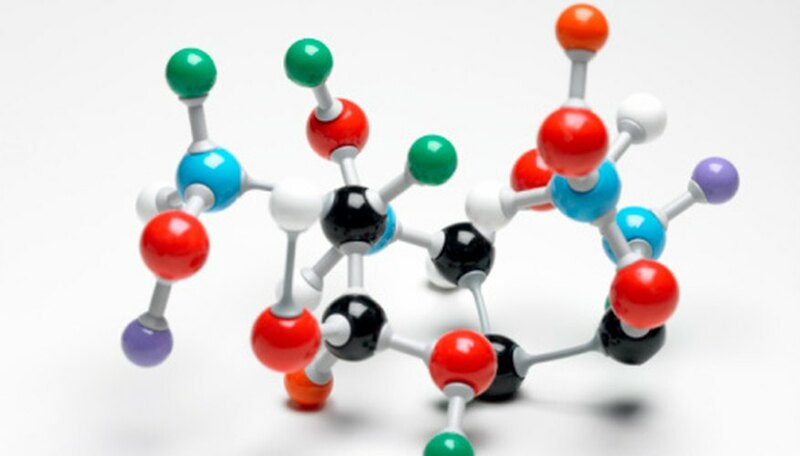 Nitrogen is an easy element to model, because of its relatively simple structure. Seven protons and seven neutrons form a nucleus, which is surrounded by a series of orbital shells comprising seven electrons. Use the Bohr model to show the atomic structure of nitrogen. The Bohr model has a nucleus with neutrons and protons, with circular electron shells surrounding the nucleus. Choose seven of the 3-inch Styrofoam balls to be the protons. Color them with a marker and draw a "+" symbol to show their positive charge. Use a different-colored Sharpie marker to color another seven 3-inch Styrofoam balls. These represent the neutrons. Use a third marker to color the seven 1-inch Styrofoam balls and draw a "-" symbol on them to show their negative charge. These represent the electrons. Glue the seven protons and seven neutrons together with normal white glue to form the nucleus. Styrofoam glue or Styrofoam adhesive can be used instead of normal white glue for a more effective connection between the Styrofoam balls. Push the 18-inch craft wire through two of the 1-inch Styrofoam balls. Bend the wire to form a circle. This represents the first energy level. Push the 24-inch craft wire through five of the 1-inch Styrofoam balls. Bend the wire to form a circle. This represents the second energy level. Bend the 4-inch craft wire into a U shape, and push it through the nucleus of the 14 3-inch Styrofoam balls. Leave a half inch of the 4-inch craft wire sticking out. Place the nucleus on a flat table. Place the 18-inch and then the 24-inch craft wire circles around it. Thread the fishing line through the craft wire of the three pieces, using double knots to secure them. Use extra fishing wire at the top to attach the model to a ceiling hook. 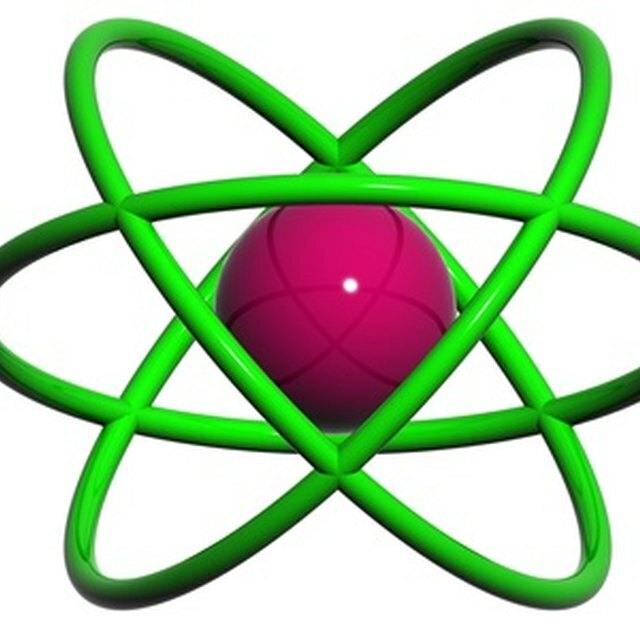 Jefferson Lab: How Do I Make a Model of an Atom? Mann, Sean. "How to Make a Model Nitrogen Atom." Sciencing, https://sciencing.com/make-model-nitrogen-atom-7801563.html. 24 April 2017.